The 2018 RAM 2500 is a heavy-hitter in the midst of a bunch of rag-tag lightweights comparatively, plus, it comes with a ton of configuration and feature options. 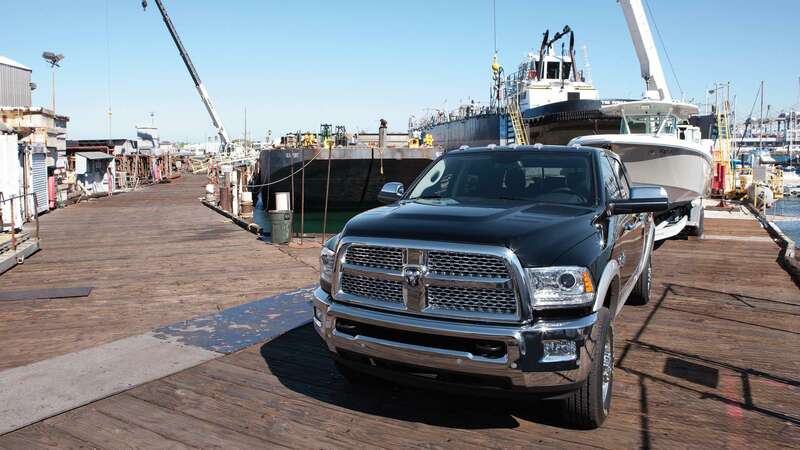 There are two possibilities for suspensions, there is the Ram Active Air paired with a 6.7L Turbo Diesel engine, and there is an available manual transmission for those who like a little more hands-on feel. It brings, in 2018, an array of super stuff such as a crazy-deluxe Limited Tungsten edition, a Haul/Tow mode selector, a Sport model appearance revision, HD hooks, an option for the Rambox system, a 5th-wheel & gooseneck hitch, and obtainable tubular wheel-to-wheel side steps. When you need a reliable beast of a pickup truck that can tow, haul, and otherwise support you in your heavy-duty endeavors, this is the truck to check against all of the rest. It consistently ranks very high in both industry titles as well as in reviews from hard-working owners, so certainly consider it on your list to try out soon! Wow, how will I differentiate between the three engines? 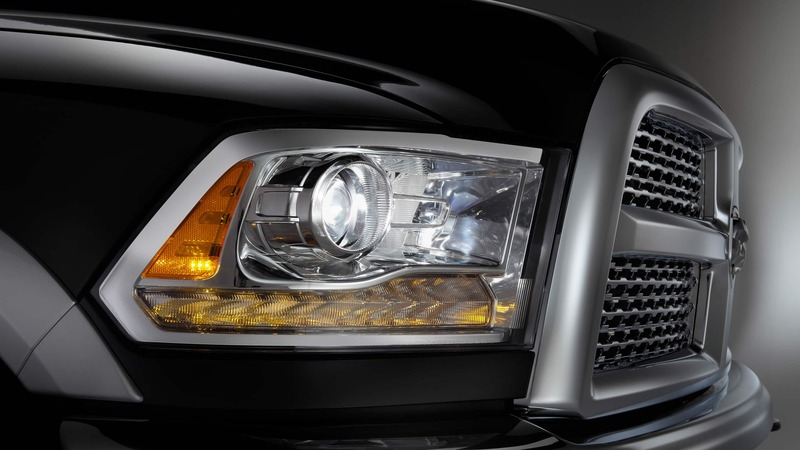 It's hard to not stare at the fact that this truck can come with either a Heavy-Duty 6.4-liter HEMI V8, a 5.7-liter HEMI V8 with VVT, or a Cummins 6.7-liter Turbo Diesel I6 engine as ways to go. The turbo diesel option also involves smart diesel exhaust engine braking technology that affords operators increased control while downhill braking. Partnered up to the 6.7-L diesel engine can be a six-speed manual transmission, or, a six-speed automatic transmission as standard. 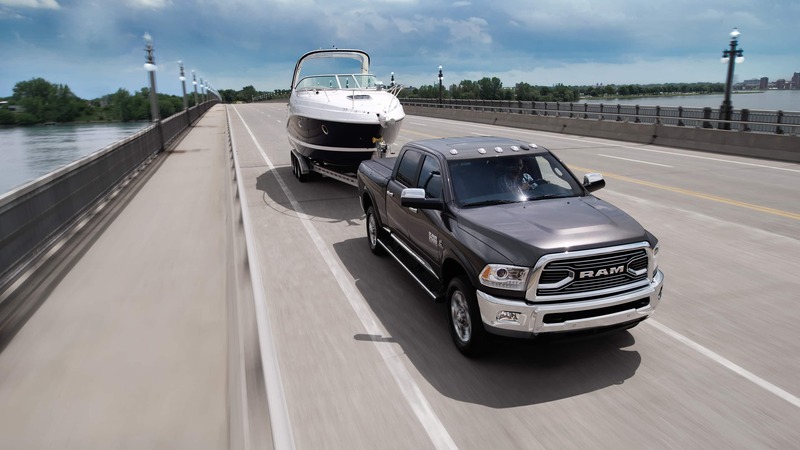 Owners can have either a five-link coil system or a remarkable air suspension system with their 2018 RAM 2500. Astoundingly, the 370-horsepower turbo diesel configuration can tow up to 17,980-pounds with its 800 lb.-ft. of torque and possesses a payload total of 3,160-lbs. The 383-hp 5.7-L engine skyrockets above the competition in its class by being able to tow up to 13,890-pounds with its 400 lb.-ft. of torque and has a payload capacity of 3,060-pounds. The 410-horsepower 6.4-L gas engine brings 429 lb.-ft. of torque, will tow up to 16,320-pounds, and reveals a payload capacity of 3,990-lbs. 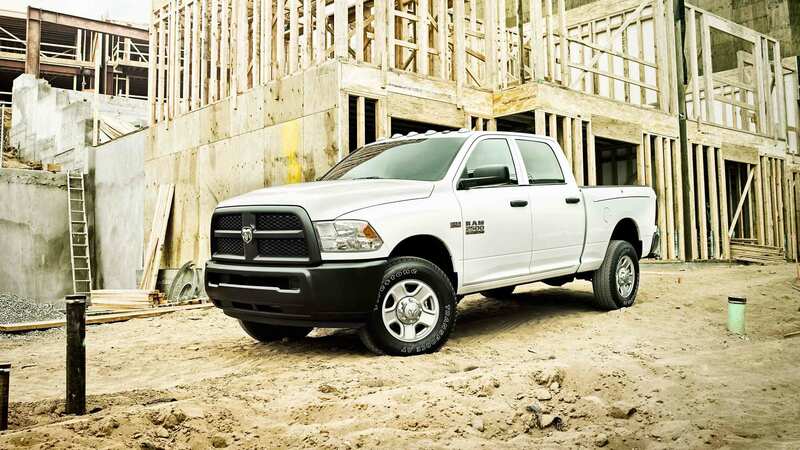 What are some of the excellent features I should look for in a 2018 RAM 2500? There exists a large range of model striations to select from starting with the Tradesman, and then continuing with the SLT, Big Horn/Lone Star, Sport, Laramie, Laramie Longhorn, Limited, Power Wagon, and Limited Tungsten. Standard amenities on the base Tradesman version are power windows/locks, auto-headlights, power heated mirrors, USB/aux connectivity, a front 40/20/40-split bench seat, and 6-speakers. The Big Horn trim has a 10-way power driver seat with power lumbar adjustment, 18-inch alloy wheels, a steering wheel that is covered in leather, a limited-slip rear differential, above-board cloth upholstery, chrome grille slats, a 115V power outlet, remote ignition, and illuminating fog lights. 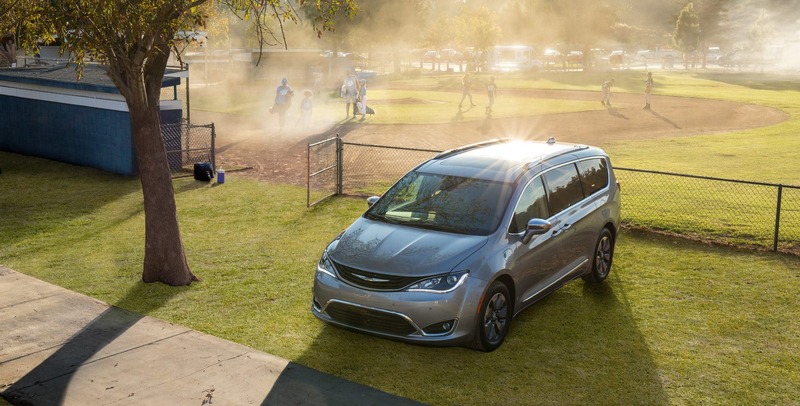 On the Limited model, there are auto-wipers & automatic high beams, an adjustable bed divider, black leather seats, keyless entry and ignition, more exterior trim elements, 20-inch wheels, and bumpers that are color-keyed. Another popular and proven model is the Power Wagon, and holds the title of "The Most Capable Production Off-road Full-Size Pickup". The 2018 Power Wagon is meant for off-road situations and can have 33-inch Goodyear all-terrain tires, a 12,000-lb WARN winch (90-ft of cable), Bilstein gas-charged monotube shocks, a Ram Articulink Front Suspension System, and the super-handy Rambox cargo management system. The Power Wagon keeps going further with features such as Hill-Descent Control, an electronically disconnecting front stabilizer bar, electronically locking Tru-Lok front and rear axles, and an available Uconnect 4C NAV with 8.4" touchscreen as well! Can you go further into detail with the features available? That would include a nod to the truck's configuration, as that can affect feature availability. There is a Regular Cab with an 8-foot truck bed, a Mega Cab with the 6-foot 4" bed, or a Crew Cab with either of the existing bed sizes. 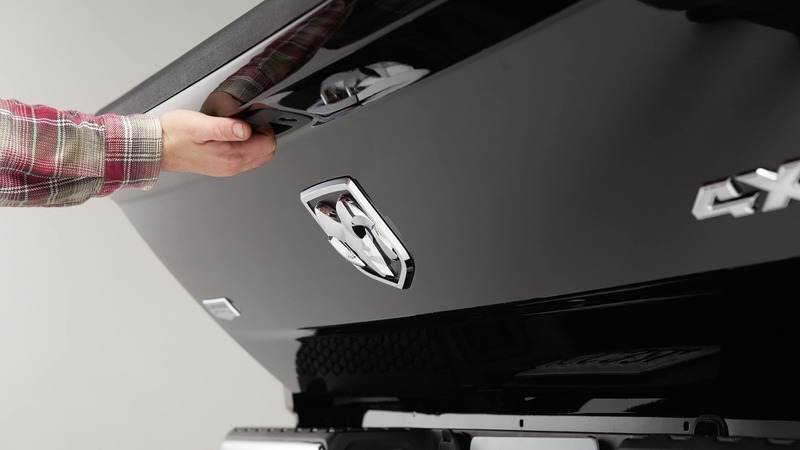 It has obtainable Ram Work Grade vinyl seating by design, considering work scenarios. The truck bed itself can possess LED bed lights (has a remote switch), a divider/extender, a Rambox that locks & drains, as well as a cargo-view camera. In the cabin, there are items like USB Flip, Android Auto & Apple Car Play, 8.4" HD Radio with 4G LTE, pinch to zoom functionality, and clear resolution implementation. Features such as Send and Go, Sirius Guardian with SOS, Assist, Remote Services, and Vehicle Finder can be had as well as a rear backup exterior camera. Making things easier is the truck-locating Fleet Telematics Module, a 7" instrument cluster in full-color with a speedometer, a fuel gauge, and a trusty tachometer. The Crew Cab style offers owners under-seat storage compartments and rear sub-floor storage bins as standard. There are some smaller-run editions to check out in 2018, in case the other models aren't somehow exactly what you need: the Limited Tungsten, Harvest, and Southfork editions. Let's go over some safety here before we wrap up. 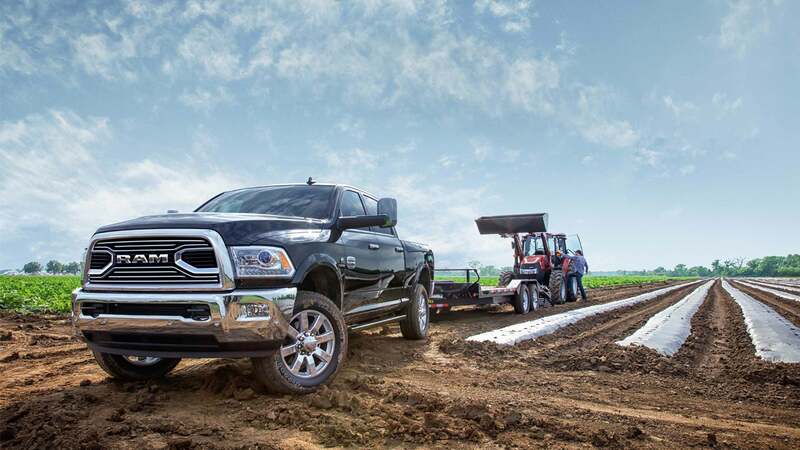 First of all, know that the 2018 RAM 2500 rides with a 50,000-PSI steel frame with extra crossmembers, which supports not only huge hauls but also resists problems from potential impacts. 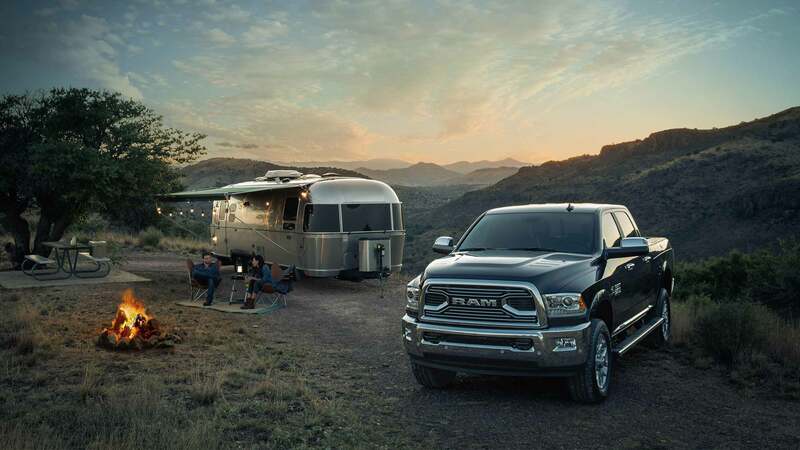 On the Big Horn, a Sport package comes in and unloads exceptional on-/off-road tires, a signature body-color Ram grille, and a matching set of front/rear bumpers. There is an Off-Road Package (on Crew & Mega Cab 4x4 setups) that garners accommodations like tow hooks and wheel flares. Standard side curtain front & rear airbags round out the safety offering, along with items like remote keyless entry, electronic stability control, Sentry Key, supplemental front seat-mounted airbags, a tire pressure monitoring display, and speed control. More choices for safety features can be a remote proximity keyless entry, hill-descent control, a fire extinguisher, and a front & rear park assist system. It's time to see this thing in person here at Len Stoler Dodge Chrysler Jeep so feel free to get started by filling out the form below!